We’d been looking for years. We drove out here one day, looked around and fell in love. We love the countryside, its peaceful, a lot of nature. We had to get out of the city. We pick blackberries that grow wild around our home, and make pies with our grandkids. The grandkids live in Kyle and love to come down and play in the park, the pool and the Lazy River, hike the trails. The people really made this the place for us. There are a lot of activities here and it’s a great place for the grandkids. We’ve been here three years now, and know this is the place we want to spend the rest of our lives. Its so peaceful, so quiet, but then the social events are so easy to enjoy. Even though you’re in the country and away from each other, you never feel alone. We are excited for the Fitness Club to open, that will be another great place to enjoy. My relatives come to visit and think this is a resort. We’re from Austin, but have been living in California for the last 20 years. When we started thinking about moving back to Texas, a friend in California told us that her daughter just purchased in Vintage Oaks and that we needed to check it out. We visited the next time we were in Texas, and immediately said, ‘yep, this is it’. My goal when I retired was to get back to the Hill Country. We wanted to live somewhere where we could easily make friends. Everyone here is so friendly, and the activities are a great way to get out and meet people. The oak trees, the space between houses, and the fact that these are custom homes. We like that each home is different but all are well cared for. 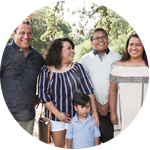 We took our grandkids to the Easter Egg Hunt, we’ve joined some of the groups and wine social, and there is so much to do. We love the nature all around us, and its so quiet. Its wonderfully dark at night, but we can get to the city quickly and easily. We like that the office here lets us come see someone if we have a question. We’d been looking in the area, moving back from Denver.  I had my heart set on Austin, but saw a billboard about Vintage Oaks. We drove out and said ‘this is it.” Coming from Denver, we wanted beautiful topography, and to be close to a city. We’re so close to Austin and San Antonio. Our grandchildren love the pool, and the community is so friendly. When we drove in, we loved the way the community looked, the amenities were beautiful – we fell in love immediately. We wanted the space between homes. We’re building now and still come out here to enjoy events and meet neighbors. Everything here is so well cared for and everyone is so kind and willing to help you out. All you have to do is come once and its easy to fall in love. You have space, nature and so much to do. We were part of a corporate location and found Vintage Oaks when I was looking for best places to live in the San Antonio area. 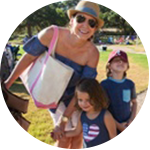 We looked at a few neighborhoods, but we loved the Hill Country feel, and larger lots and all the amenities and activities. We’ve been here a few years now, and it has been so easy to make friends. We’ve moved several times for corporate relocations, and this has been by far the easiest place to assimilate and make friends. People have been so welcoming, and the events really get everyone out. You’re never a stranger for long in Vintage Oaks. And the stars at night…there’s nothing better than being able to walk out on our back patio and see more stars than I’ve ever seen. We love the peace and nature out here. The word ‘community’ says it all. Most of our activities aren’t even planned – people are out and love getting together. The openness, how people take care of their homes, we knew it was the right place for us. I had been doing the Labor Day Run through Vintage Oaks for about 8 years, and loved how beautiful it was out here. When we talked about moving farther out to enjoy more space, we looked here first, and it was a pretty easy decision. Look around – it’s beautiful, and we’ve met some wonderful friends. Its peaceful and so friendly. We moved in a year ago and have made a lot of friends at the pool and all over the neighborhood. All the events here have made it so easy to meet friends, which is something you always worry about when you move with kids. 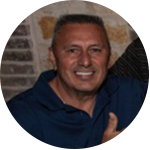 I work in San Antonio, so coming home, I really get away from the hustle and bustle and really enjoy the peacefulness. The get togethers here are spectacular. If you go to the pool or the soccer field or the tennis courts, there are always kids doing something fun, it’s so easy to meet people. The pool and lazy river were amazing, and it’s so pretty here with all the nature. We moved here from Louisiana. We were so captured by the friendliness of the neighbors. This is different from every other place we’ve ever lived – the friendliness is unbelievable, we just love it. The atmosphere here, people take it for granted, and its unlike anywhere else we’ve ever seen. 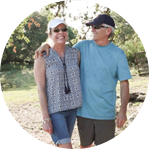 It's not just the location in the Hill Country and the amenities, the two pools, the clubhouse, the lazy river…but it’s the people who live here that make it most enjoyable. A lot of very friendly people and very helpful and caring and they come together and form clubs and somebody starts an activity and people join. This is a real community. It’s very family friendly, the schools are great. It's just quiet in the evenings, lots of wildlife and nature. It’s nice, you kind of feel like you’ve escaped everything yet you’re really close to town and all the essentials you need. We enjoy living out here just because it is so close to New Braunfels. 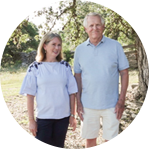 We feel like we’re part of the community in New Braunfels yet we’re away from the hustle and bustle of everything and we’re also real close to 281, so we can get into San Antonio really quick. We decided to ride through and we found a lot that we really liked close to the pool. We settled in, we've made a lot of great friends with kids our kids’ age and we spend a lot of weekends at the pool. I knew we kind of wanted to be closer to New Braunfels. What's great about this community is we’re 10 minutes outside of town, 10 minutes from the grocery store. I think it’s an incredible place to live. The one thing that makes a community is the kindness and the companionship of your neighbors. As short a time as I’ve been here, I already feel that community atmosphere. The size of the lots as well as the peace and quiet were a big part of the decision to build in Vintage Oaks. The views are amazing. As we got closer to the build, we saw how wonderful the neighbors were. Many of our new neighbors offered to help any way they could during our build. The amenities are important to us, and they are exceptional and continue to grow and evolve. One of the neighborhoods we looked at prior to this one had a time restriction to start construction. 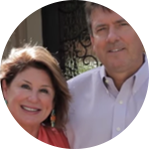 To find a neighborhood where we could build on our timeframe was just perfect for us. And we liked how we could use our own builder as well. I was told about Vintage Oaks from a coworker of mine that lives here in the community. He invited me to look at the area, the clubhouse. My wife absolutely fell in love with it, the acre-lot that we have and the amenities. Basically, the land loan program is mainly for veterans that are looking to get a good interest rate and looking to buy land, so I went and looked into it. The process was very, very short. We closed pretty soon. I love the Marine Corps. I’m a retired Marine, so I expect high standards of the people I deal with. It was just an awesome experience. We have grandchildren that love to come and use the pool. My wife and I use the trails. They have cookouts, they have parties. They get together and have wine nights where everybody will share a bottle of wine. It’s just a well-knit community here. The great thing about it is it’s right between Austin and San Antonio. There are so many things to do here. We fell in love with the views, trees, and amenities. We are a family of 5 with 3 small children so loved it being a safe, family neighborhood. It was the best price for better land compared to other communities and had the best amenities for sure. We want look out our windows and see trees! I was the first person to purchase a lot in Vintage Oaks when it was just farmland. My wife and I got married at the clubhouse in 2010 and will eventually move out to Vintage Oaks when our kids get a little older. My wife works in New Braunfels and I work in San Antonio. Vintage Oaks is a first-class community that allows us to be in an ideal location that fits our lifestyle. The amenities are absolutely amazing and everyday we are at the pool it feels as though we are on a vacation. We fell in love with Vintage Oaks - the scenery, amenities, and great curb appeal really set it apart from other communities in the area. Find Your Dream Home or Homesite - Start Your Search Now!